This is a nationwide class action against Abercrombie’s Hollister brand stores, alleging that their porch-style entrances with steps violate the ADA. Although we prevailed before the district court, a 2-1 majority of the Tenth Circuit reversed on the merits, permitting the porches to remain inaccessible. The decision contains much good language supporting class certification and tester standing under the ADA, but sadly sided with Hollister on the question of the accessibility of the porches under the 1991 Standards. After the decision, the parties were still able to reach a settlement in which some but not all Hollister stores will have accessible entrances. Defendants have unnecessarily created a design for their brand that excludes people using wheelchairs from full enjoyment of the aesthetic for that brand. The steps to the center entrance are a legally unacceptable piece of that branding and violate Title III of the ADA. all people with disabilities who use wheelchairs for mobility who, during the two years prior to the filing of the Complaint in this case, were denied the full and equal enjoyment of the goods, services, facilities, privileges, advantages, or accommodations of any Hollister Co. Store in the United States on the basis of disability because of the presence of an Elevated Entrance. Following class certification, Plaintiffs moved to extend the summary judgment decision to all stores with steps and to request a nationwide injunction requiring that the raised porches be ramped or removed. Defendants opposed this and moved for summary judgment, arguing that the segregated entrances complied with the 2010 ADA architectural guidelines. Plaintiffs’ response demonstrated that the raised porches were out of compliance with the 2010 Standards as well. Meanwhile, the Department of Justice has weighed in on our side, with a Statement of Interest — thanks! — and we filed a two-page reply brief. Because Hollister had argued in defense of the raised porches that they were merely visual displays and not intended to be part of the Hollister experience, Plaintiffs also proposed, in the alternative, that Hollister be permitted to rope off the porches, so that they would be a purely visual experience for all customers and not just those who use wheelchairs. Plaintiffs also proposed that Hollister have the option to ramp the entrance. At a hearing on August 16, Judge Daniel ruled that the injunction will order that all 231 raised porches be made accessible, and that Hollister would have all three options proposed by Plaintiffs. He also rejected Hollister’s attempt to argue over the cost and impact of the remedy, as the stores were all built after the effective date of the ADA. 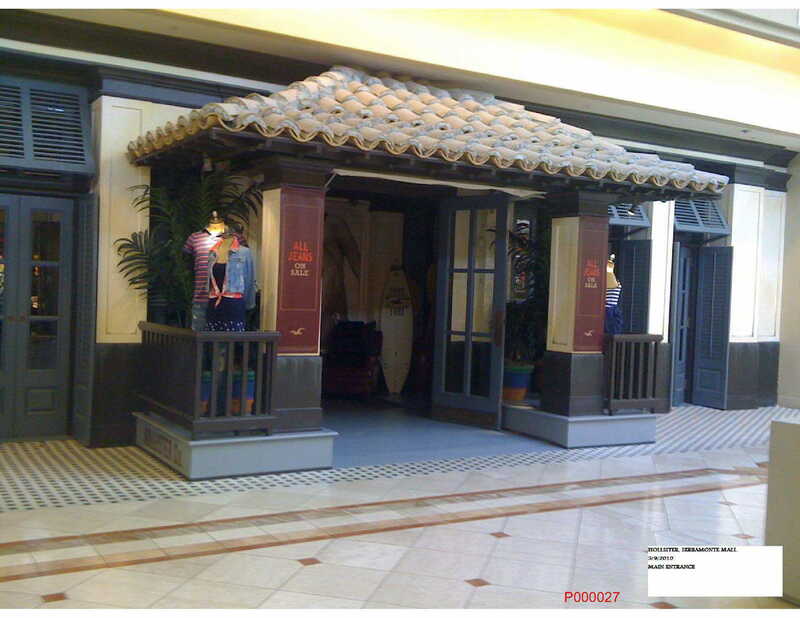 On August 20, 2013, the Court issued a permanent injunction requiring Hollister to bring the 231 noncomplying porch entrances into compliance by January 1, 2017. As noted above, the Tenth Circuit reversed on the merits, though it did affirm the excellent standing and class cert holdings. Amicus brief of the Department of Justice. Amicus Brief of the Legal Center for People with Disabilities and Older People and 8 other disability advocacy organizations.